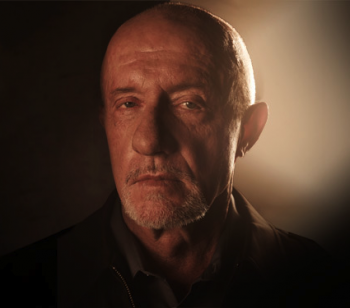 Jonathan Banks is bringing Mike back from Belize for the upcoming season of Better Call Saul. Almost immediately after AMC's announcement that Breaking Bad would get a prequel about criminal lawyer Saul Goodman, fans began wondering which other characters could return for the new series. Gus Fring and Huell Babineaux would certainly be interesting, but an obvious choice is Mike Ehrmantraut, the private investigator and hit man who quickly became one of Breaking Bad's most iconic personalities. Thankfully, the show's creators agree, and have confirmed that actor Jonathan Banks will reprise his role for Better Call Saul's upcoming season. Mike was introduced as a cleaner and private investigator in Breaking Bad's second season, where he quickly became a fan-favorite character. Mike proved to be as complex a character as Walt or Jesse, coldly dispatching targets with ruthless efficiency, while showing a softer side when in the presence of his granddaughter. Mike's trajectory from former Philadelphia police officer to hit man will probably be a major theme in Better Call Saul, as he and Saul Goodman begin their relationship with New Mexico's criminal elements. So far, Banks and Odenkirk are the only actors confirmed for Better Call Saul, but that's certainly be enough to get Breaking Bad fans excited for what's to come. The premiere is expected to air in November 2014, so additional casting reveals are sure to follow.